Students: The applet below contains a quadrilateral that ALWAYS remains a RECTANGLE. 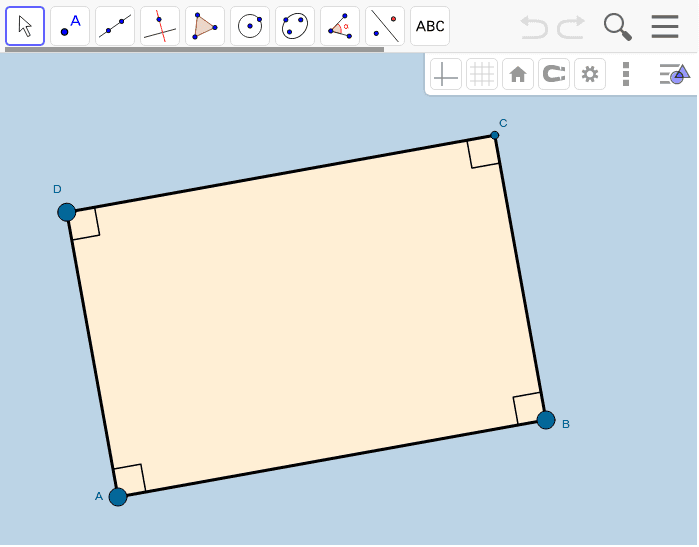 Be sure to move the BIG WHITE VERTICES of this rectangle around as you answer each investigation question! Teachers: A PDF copy of this investigation & its questions can be found below the applet.